A small family owned boutique winery specializing in small lots of Cabernet Sauvignon and Pinot Noir from Napa and Sonoma. 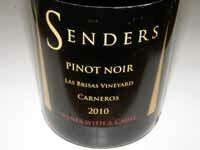 The Pinot Noir grapes are sourced from the Russian River Valley and Carneros appellations. The proprietors are Craig and Karen Senders. Craig Senders, M.D. (Otolayrngology) crafts the wines at a custom crush facility in Napa and Karen Senders handles the marketing and sales. 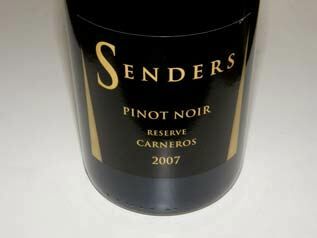 The wines are available through the winery's online store.